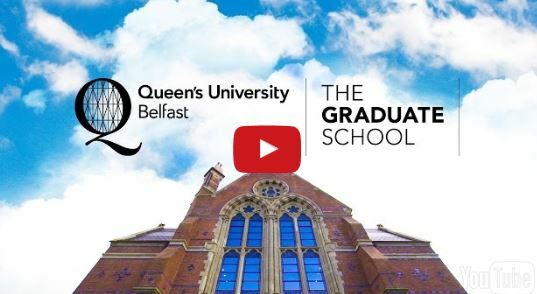 Queen’s University has issued an open invitation to anyone interested in attending ‘An Audience with The Graduate School’ on Thursday 30 March 2017, at 5pm. The career-changing evening in the Sir William Whitla Hall is an opportunity to find out what’s on offer across all faculties at Queen’s. The event will bring real thought-leaders together with inspiring students for a truly unique evening. The audience will discover why Queen’s global experts are making a real impact and how postgraduate study could help prospective students to kick-start their career, explore global opportunities and change their world. A panel discussion (from 5pm-6pm) with Professor Margaret Topping, Dean of the Graduate School, Professor Michael Alcorn, Postgraduate Dean in the Faculty of Arts, Humanities and Social Sciences and Professor Cathy Craig, Postgraduate Dean in Faculty of Engineering and Physical Sciences, will explore why a Master’s degree is a good investment and how a postgraduate qualification from Queen’s sets you apart. Those attending will have an opportunity to meet leading academic staff and students who will be on-hand to help with questions about postgraduate study across the University’s three faculties. An exhibition (from 6pm-8pm) featuring stands from the University’s Schools and Faculties, the Graduate School and its Admissions department will provide expert advice on the application process and entry requirements. Plus there’s a chance to take a tour around the beautifully restored Victorian Lynn library – home to the Graduate School – which offers postgraduate students at Queen’s a dedicated space for intellectual exchange and collaboration. To find out more about the range of cutting-edge postgraduate programmes available (everything from Accountancy to Youth Justice), to hear about the Postgraduate Tuition Fee Loan of up to £5,500 or to learn just how highly employers rate a master’s degree from Queen’s, sign up now for ‘An Audience with The Graduate School’. 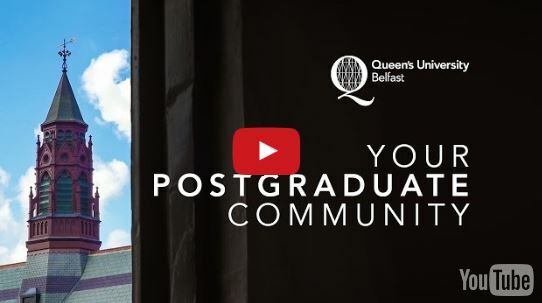 For more on postgraduate study at Queen's click on the videos above, visit The Graduate School website, telephone +44 (0)28 9097 2585 or get in touch by email.